Prisma Gallery is dedicated to promote Modern Hungarian Studio Glass. 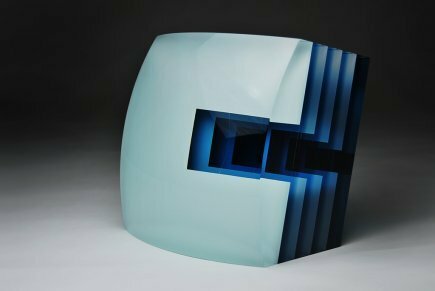 We have numerous glass sculptures from contemporary Hungarian artists in stock and excellent relationship with them to accept and intermediate commission orders from any artists represented by our Gallery. If you wish to get regular updates just sign up for our newsletter. You will receive updates about glass exhibitions, fairs, new items in stock, items for sale and other useful information. Your details will never be distributed or shared, and you can always unsubscribe anytime. We have selected items with discounted price. If you want to obtain this benefit create an account and you will be able to browse the restricted "Special Deal" area. We are proud to announce that the largest travelling exhibition ever organised abroad to showcase the artistry of the contemporary glass making is going to start in 1st April, 2015. Masterpieces by 17 world famous artist are exhibited. The on line catalogue is here. Other venues will be announced on the website, or sign up to receive updates.